Comarch was established in Kraków 25 years ago. 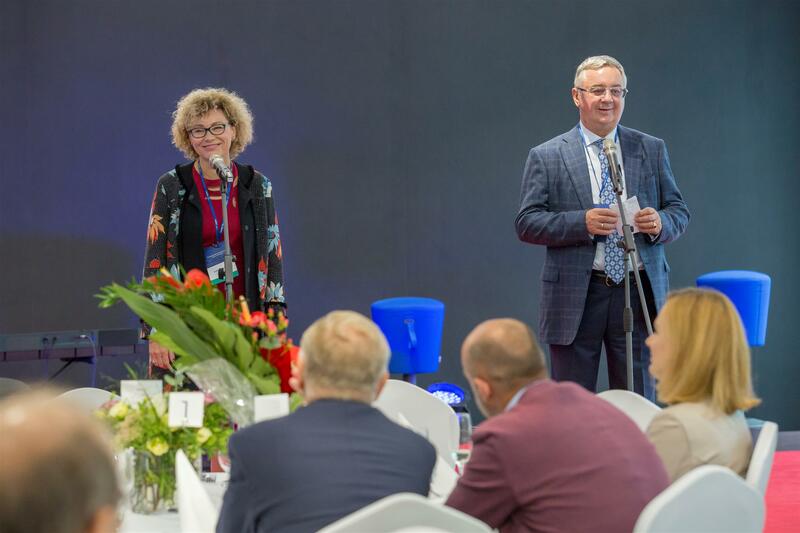 Established by Elżbieta and Janusz Filipiak, within a quarter of the century, Comarch has become one of the largest IT companies in Poland and Europe and has been ranked in a group of best recognised Polish brands globally. 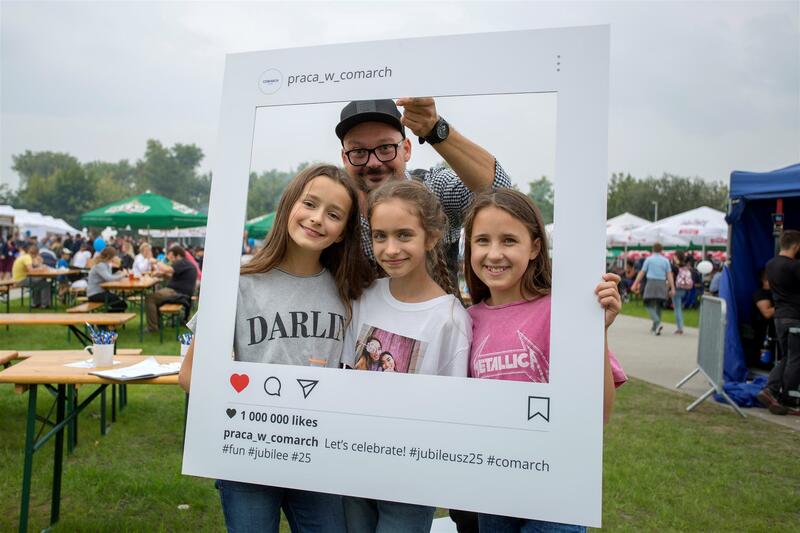 Presently, Comarch has its offices in 91 towns in 32 countries, employs over 5,600 staff, carries out IT projects on six continents, and its annual revenues exceed PLN 1.1b. 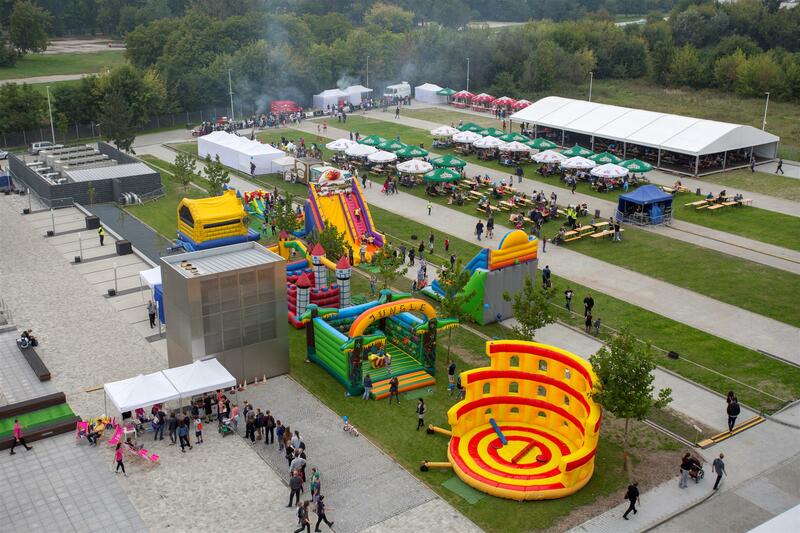 The official celebration marking the Company’s 25th anniversary in business was held on 8 September in the Company’s campus in Kraków. The gala was also an opportunity to officially open Comarch's latest building in the special economic zone. Comarch was established in the 1990s, when IT in Poland mainly involved trading in computers and licences developed in the West. However, the Company's founders decided to follow another business model and since its inception Comarch has focused on development of its in-house products. In the beginning, the Company had its seat at the AGH University of Science and Technology in Kraków, where Prof. Filipiak used to head the Department of Telecommunications. Initially, he would combine managing the business with his responsibilities as an academic employee. At the peak of his academic career, he decided to give up on his university post and become fully engaged in Comarch’s development. - What we did at the time was the first and only spin-off in this part of Europe. In the US such business model was applied by companies such as Google, Intel, or Hewlett-Packard, says Prof. Janusz Filipiak, Founder and President of the Management Board of Comarch. Since its beginning in 1993, the Company has grown into a supranational network of subsidiary companies and partners world-wide. It sells, implements, and supports telecommunication projects and loyalty schemes and is the largest Polish manufacturer of ERP-class systems. The Company also offers IT solutions for health care and public administration, and for the sector of finance and banking, too. Among others, Comarch's systems are operated by such companies as: BP, Telefónica, Orange, Auchan, or ING. Since 1999, Comarch has been listed on the Warsaw Stock Exchange and that is also the date when Kraków-based Company started its global expansion. Currently, the Company conducts its business in over 60 countries, on six continents: Europe, both Americas, Asia, Africa, and Australia. Nearly 60 percent of its annual revenues is generated on foreign markets, and the value of foreign sales exceeded PLN 4.6b in 1999-2017. - The 25th anniversary of Comarch's business is a very nice time. Over the time we have grown into a world-scale modern and innovative Company. We've had numerous successes, but also suffered severe failures from which we learned a lot. In all those years, we've developed to a full-fledged corporation that combines reputation of a large company with the advantages of a small one. Employees are the Company's major asset, as without all those people Comarch would not have been built and, most importantly, able to continue its development - says Professor Janusz Filipiak. Presently, the Comarch Group employs over 5,600 staff in its offices globally, over 3,000 professionals are working in Kraków alone, which means that the Company is one of the largest employers in the region. Additionally, Comarch has 17 branches across Poland, with nearly 2,000 staff. Many employees joined Comarch after they have completed a scheme of paid traineeships which is unique on a European scale. Social responsibility and economic patriotism are an important elements of Comarch’s strategy. The Company has been operating globally, and it has its business centre in Poland. It pays taxes on generated profits in Poland, allocates over 15 percent of its revenues for product development and research, constantly creates jobs, and becomes engaged in activities for the local community, promotes modern technologies and sport. For 15 years Comarch has been the sponsor of MKS Cracovia, Poland's oldest sports club. The Company's 25th anniversary celebration was also an opportunity to officially open Comarch's latest building. This is yet Company’s another investment in the special economic zone in Kraków in which Comarch has been operating since 1999. The office building commonly referred to as the “Seventh” has been designed with focus on employees’ comfort and respect of the natural environment. Photovoltaic panels have been fitted on its roof to partially supply the building’s demand for electricity, and the underground floors house charging stations for electric cars. The building has five floors above the ground, and its total area is over 27,000 sq. m. Additionally, employees and visitors have been provided with an underground car park for 157 cars and 86 stands for bikes.